Accepting social challenges, taking up current topics, taking care of conceptual development and producing the structural design: Häfele, the internationally operating specialist for hardware technology and electronic access control systems has been attracting attention for years with pioneering architecture solutions such as these. After the “Functionality Cube”, the multi-functional interior concept for Werner Aisslingers LoftCube and the multiple award-winning trend project “Youth Lab”, the youth hostel room of the future, the trendsetter from Nagold put the modular room model “Micro Living Apartment” by Häfele in the spotlight of its presentation at BAU 2017 – in full concordance with the trade fair motto of “The future of building”. “More life per square metre” can be experienced close up and on a 1:1 scale at Häfele. That which we have observed from a safe distance from the mega-metropolises of this world for a long time has now also become reality in Germany: More and more people are living alone and moving into the cities. This is where they can find jobs, education and cultural life. However, living space is scarce in congested urban areas: The construction industry must provide living solutions that are attractive and flexible in a quick and cost-effective way. In addition to affordable solutions for families, convenient living concepts for the elderly, innovative living space for students and versatile apartments for commuters, temporary staff and so-called occupational nomads are urgently required. The modular “Micro Living Apartment” by Häfele provides a wide variety of solutions for any budget. Based on a grid zone system, any apartment size, equipment level and duration of residence can be individually scaled. Architectural downsizing provides added value! Apartments in an extremely small space are a reaction of the real estate business to living alone and urbanisation. However, anyone who thinks that this means making sacrifices or going without anything is wrong: “Less is more” is encroaching on the living area, and therefore reflects the minimalist trend in society as a whole. Architectural downsizing certainly has qualities, and brings added value: Small apartments are cheaper to build, consume less energy and are easier to maintain and clean. Less area, less ballast! That’s the theory, anyway. In order for architects and planners to be able to implement micro-living solutions in practice that are functional and above all worth living in a cost-effective and sustainable way, they need the support of clever system solutions and innovative products. This is where Häfele comes in with its comprehensive portfolio of well-engineered Functionality solutions and its many years of experience: Advice, planning and implementation – the company from Nagold does not leave planners, operators and investors on their own when solving socially significant architectural tasks. Once again, Häfele is taking a brand-new topic forward and supplying functional solutions as to how mini-apartments can be successfully planned. The “Micro Living Apartment” by Häfele has been created in collaboration with architect Dr. Krista Blassy, PAB Achitekten, Erfurt/Munich and investor and operator Carsten Fischer, Sonntag KG, Münster. 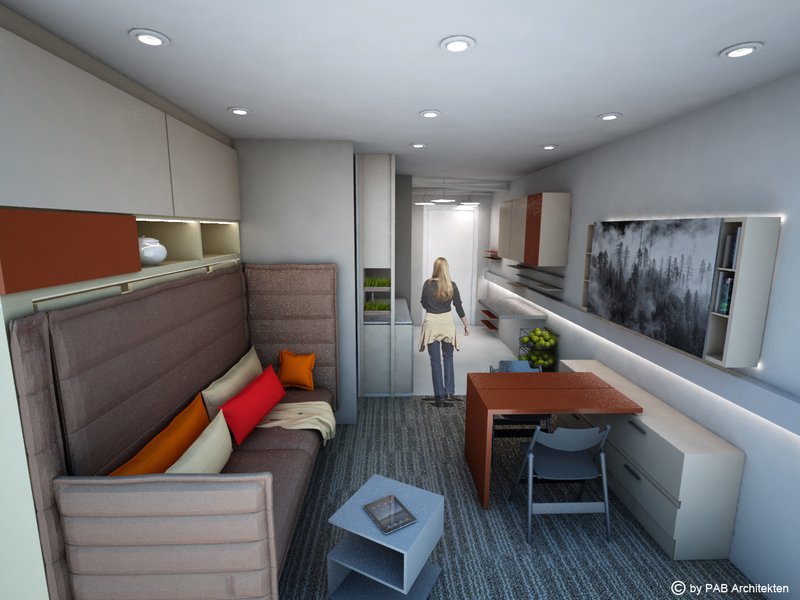 Starting with a minimum apartment size of just less than 20 square metres, the modular concept does not just react to the needs and requirements of future inhabitants, it also impresses planners, investors and operators with its coherent design, functional content and consistent costs. A large number of innovative products – heated and illuminated bathroom mirrors with sound, flexible storage space, digital interfaces to building control systems and Smart Home – safeguard convenience and future capability and are part of Häfele’s comprehensive planning and advisory expertise. In gates which are thematically and spatially linked to the micro-apartment, at BAU 2017 Häfele is devoting itself to many other topics and giving the interested specialist public the possibility of entering into discussions about specific projects and finding innovative, individual solutions: With “Häfele Room Service” a selection of about 300 combinable products from the range of fittings and accessories is being presented for the first time for the international hotel business. As far as the design of guest rooms and bathrooms is concerned, planners and operators can select products and systems that are mutually compatible in a quick and targeted way. When doing this, they benefit from global availability, standard quality and consistent design. Experienced specialists from Häfele’s project department provide additional reliability during planning and during the construction phase with their 360° comprehensive project solutions. 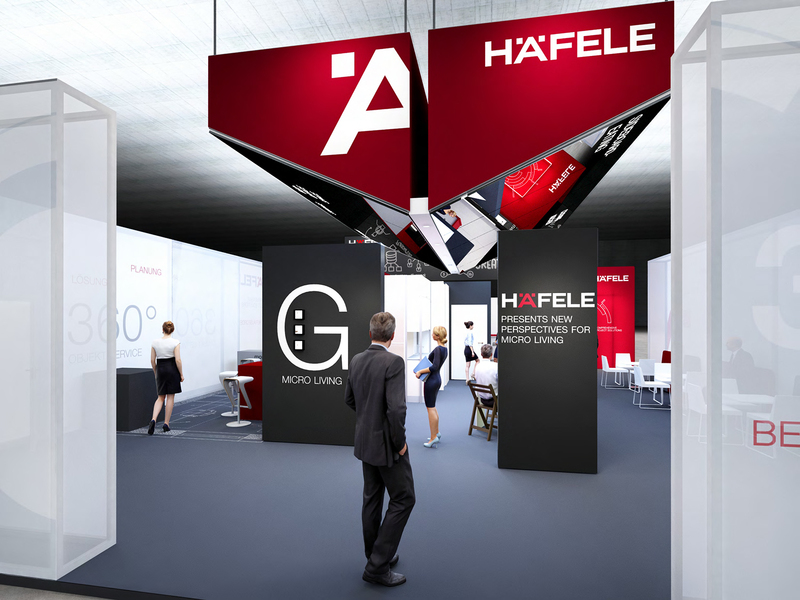 Häfele is exhibiting well-engineered storage space solutions, multi-functional wall panels and walk-in closets and wardrobes at the trade fair. Something that is also often underestimated in its complexity are intelligent door solutions – one of the core competencies of the company and its partners. For this reason, Häfele is exhibiting all of the important aspects of integrated door planning at BAU, and is presenting adjacent systems such as the innovative, networkable Dialock identification and access control system with smartphone key and room control. When it is a case of putting the spotlight on the best result for the best construction task, Häfele is a competent planning partner right from the start. This is because the company is characterised by the capability of thinking from the building to the room into the furniture and back again. The specialist visitors to Bau in January 2017 will be able to see this for themselves. 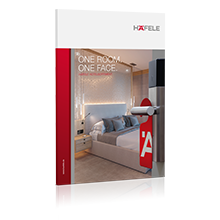 The “Häfele Room Service” provides 300 combinable products for the hotel industry. On this occasion, the “Micro Living Apartment” by Häfele is in the spotlight of the Häfele presentation at Bau.